Celebrate the family bond with this classic Mother's ring. This is a branded new made to order ring. 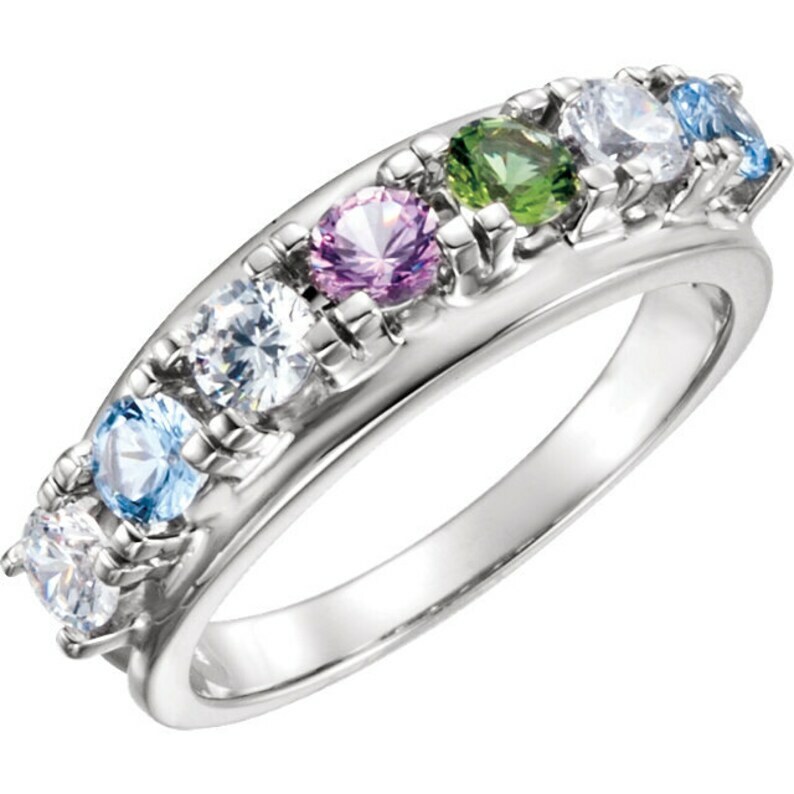 It can be made in 14K white ,yellow or Rose gold, and customized with the Top quality Simulated birthstones of your choice. It is finished with a bright buffed luster. Surprise mom or grandma with it on a special day. If you want your ring upgraded with genuine stones , please contact me. Thank you. Please put the Birthstone you would like in the "note to seller" when checkout, or message me. Beautiful ring...better than expected. Already thinking about my next purchase. The wait is killer but very much worth it. Excellent craftsmanship!! This ring turned out beautifully. I think this style looks great with the four birthstones. My order delivered in a timely manner and it came in a really cute ring box. I'm looking forward to giving it to my mom on Mother's Day!